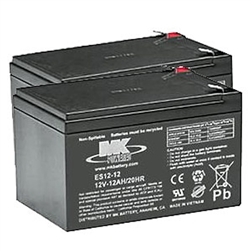 MK - 12V 12AH Sealed Lead Acid (2) Batteries. 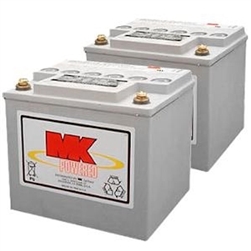 When you think quality Deep Cycle batteries, think of MK Battery. 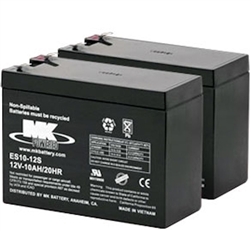 MK - 12V 18AH Sealed Lead Acid (2) Batteries. MK - 12V 10AH Sealed AGM (2) Batteries. 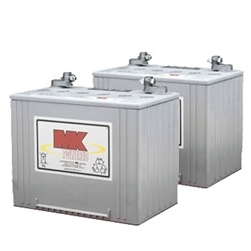 MK - 12V 32AH Sealed Lead Acid (2) Batteries. 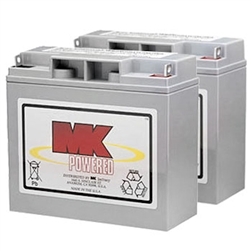 MK - 12V 40AH Sealed Lead Acid (2) Batteries. 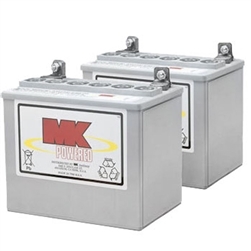 MK - 12V 50AH Sealed Lead Acid (2) Batteries. 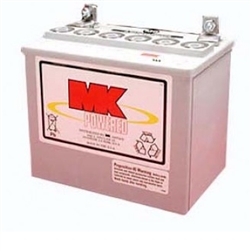 MK - 12V 60AH Sealed Lead Acid (2) Batteries. 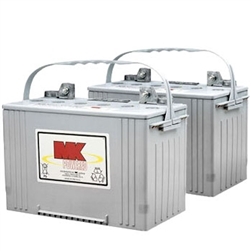 MK - 12V 74AH Sealed Lead Acid (2) Batteries. MK - 12V 88AH Sealed Lead Acid (2) Batteries. We have all the replacement batteries you need for any scooter, powerchair, or personal transporter. Call Wheelchair Authority today at 866-218-0902 to ensure you choose the correct battery.